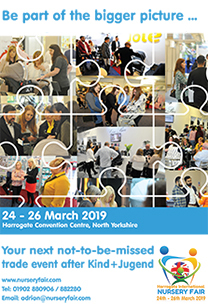 The BPA’s Concept & Innovation Awards are now open for entry to anyone from budding designers and students, to mums and dads who have discovered a gap in the market. The nursery sector is probably one of the most innovative of all industries and it is notable that many products on the market originate from new parents with very diverse backgrounds who hatch ideas to solve problems they experience in their own parenting. In fact numerous winners of the Concept & Innovation Awards over the years have launched such products which are now successfully selling around the world. Last year, the winner of the Innovation Award was Samantha and Markus Warwick of Innovation Makers for OmniO Rider – an ultra-lightweight, compact stroller which is due to launch to the market in 2016. The joint Concept Award winners, Laura Donnellan & Frances McCabe with Femette - a post-natal cleansing bottle; and Laura Meehan with Squijit - a universal device allowing accessories to be attached to almost any make of pushchair or pram were very early in their development stages and we look forward to seeing their possible launch in the future. Deadline for entry is Tuesday 5th January 2016, after which shortlisted entries will be invited to London to present their ideas to a panel of judges who are all experts in the baby products industry. Four finalists will be chosen – two with Concepts, which are products in their visionary stage; and two Innovations, which may almost be market ready but must not be on sale prior to 20th March 2016. 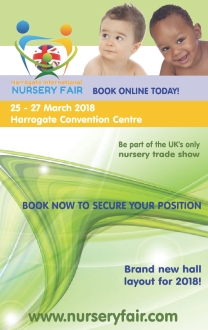 These will be invited to present their entries to the entire nursery industry, including major nursery buyers, at Harrogate International Nursery Fair from 20th to 22nd March 2016, where the overall winners will be announced.